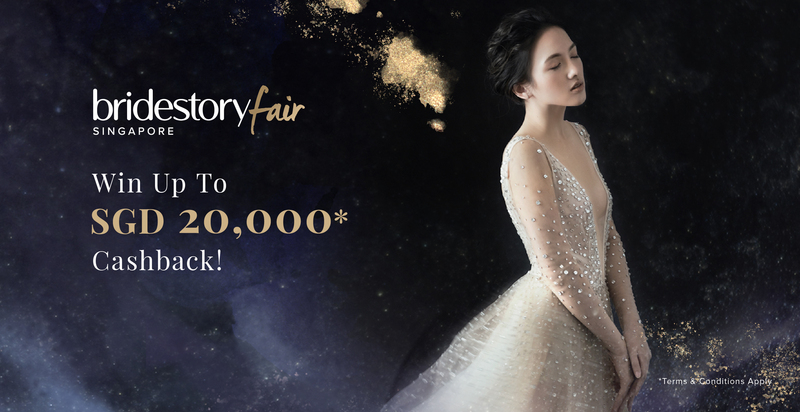 After numerous successful events overseas, Bridestory is proud to finally present the first ever Bridestory Fair Singapore. The curated wedding exhibition is known for showcasing the latest trends and after multiple favorable outcomes in Jakarta, We are pleased to bring the event all the way to the Lion City. "We'd like to bring the online wedding experience to engaged couples. In this event, they can meet talented wedding professionals and make their dream wedding come true," said Kevin Mintaraga, CEO and co-founder of Bridestory. With Stardust as its main inspiration, Bridestory Fair Singapore 2018 implemented a unique and dreamy concept to properly showcase the trending theme. Incorporating mostly monochromatic and metallic colors, stepping inside Bridestory Fair Singapore would guarantee an out-of-this-world experience for every visitor and clients. Taking part in the event are more than 40 curated wedding vendors from 12 categories such as Heaven's Gift, Sing See Soon, C.C. Lee, With love, Med Karlek, Multifolds Photography, Kartoe, Nicolas Laville, and many other. With both established and rising-star vendors participating, Bridestory Fair Singapore 2018 would be a cohesive and whole experience for all visitors. That's not all, we have also provided a Destination Wedding Area featuring wedding vendors from Bali as a breakthrough move for this pioneer event. The excitement doesn't stop there. With a minimum purchase of SGD 200 during the event, a lucky winner is entitled a chance to win cashback up to SGD 20,000. So, spread the exciting news to your clients and close friends who are planning their dream wedding!